My name is Hans-Inge Langø ("ø" pronounced kind of like "uhh", spelled "oe" in English), and I am a PhD candidate in the Department of Government at the University of Texas at Austin. My two fields are International Relations and Methodology, and my dissertation focuses on the intersection of intrastate and interstate war. Specifically, I examine how external actors can cause intrastate war, and also how these conflicts can expand and become interstate wars. During my time at UT Austin, I have been a research assistant at the Strauss Center, a teaching assistant in the Department of Government, and most recently the instructor of record for a two-course sequence designed to teach undergraduate students social science research through a combination of lectures, mentoring on individual projects, and research internship. Before coming to UT Austin I worked as a junior research fellow at the Norwegian Institute of International Affairs (NUPI), with a particular focus on cyber security and power. I was the lead analyst on NUPI's contribution to the cyberspace part of MNE7, a multinational military concept development campaign. As part of that, I worked on a team that developed and conducted a limited objective experiment to assess situational awareness and information sharing during a cyber security crisis. Domestically, I worked with stakeholders across the public and private sector and with civilian and military government agencies. I was also one of the co-organizers and hosts of a seminar series focused on Norwegian cyber security issues, including the work to develop national cyber strategies. Prior to joining NUPI, I interned at various think tanks in Washington, D.C., and during that time I contributed analysis on defense spending and policy for the Sustainable Defense Task force and the Domenici-Rivlin Debt Reduction Task Force. I hold an M.A. in International Relations from Boston University and a B.A. in Journalism from Oslo University College. 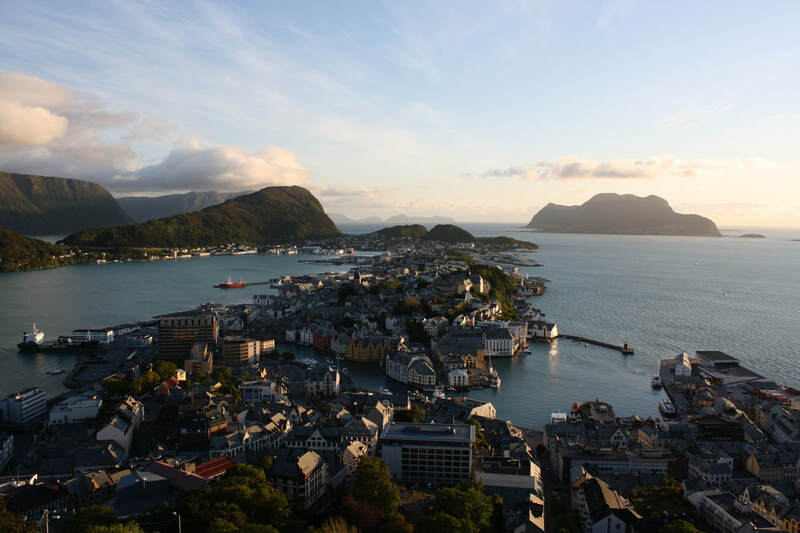 Photo of Ålesund, Norway, my home town.